Sports fans cringe when they remember the unmitigated press fiasco that was “The Decision” in 2010. LeBron James, the most influential basketball player in the country at the time (and on the road to becoming the greatest player of all time), alienated nearly the entire basketball world with a press relations disaster. He strung sports journalists and fans along for several days as he “pondered” his decision on where to play basketball next. Ultimately, he announced that he’d be leaving the Cleveland Cavaliers in favor of Miami. What made the event so bad wasn’t the decision itself as many sports writers had already predicted that LeBron would leave his hometown in his quest for an NBA championship, it was the way that LeBron handled the press. The decision was made into a national event – with its own ESPN special and the attending press fervor, so when he made the announcement that he was leaving Cleveland his fans felt betrayed on a national stage. With the whole country watching, LeBron embarrassed the city of Cleveland and he tried to make a press event out of what the rest of the country viewed as disloyalty. 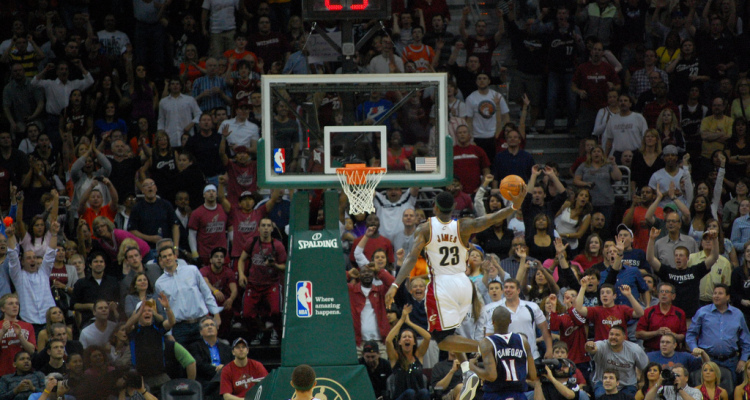 What lessons can a PR professional learn from LeBron’s decision? And what was done differently in his return to Cleveland? One of the reasons that LeBron James got so much media flak for his first decision was the overwhelming amount of media coverage that seemingly turned LeBron James from a human into a brand name. People had trouble empathizing with his very real and human motives, because he portrayed himself as something larger than life. With his most recent decision, LeBron led his criticism by writing his own article in Sports Illustrated. The article that LeBron wrote was well-written and intensely personal – and it went a long way to discourage the belief that LeBron was solely looking for money. What did it say? Well, in short, he basically stated that he was deeply sorry for the fiasco of his first move, and that he had accomplished all he wanted in Miami. He declared that he was ready to return home to the fans that he hoped never abandoned him. PR professionals should always try to make their news personal in some way. Giving emotional weight to news releases and media stories can make your people see the personal side of your business. It’s the goodwill factor. It adds value to your brand and customers are more willing to forgive small errors and transgressions when they can see a human face behind the business. One thing that LeBron James did well was his decision to grant exclusivity to Sports Illustrated for his decision article. By doing this, LeBron James was able to avoid the absolute media circus that surrounded his first decision to go to Miami. Instead of thousands of newspapers all publishing increasingly frantic guesses at LeBron’s fate, his decision was announced in a carefully crafted (and controlled) 952 word statement on the Sports Illustrated website. Press relations professionals can learn a lot from this concept. Instead of blasting your press release to thousands of outlets in the hope that one picks it up, consider offering exclusive access to just one or two outlets. Exclusive access gives the news outlet more of an incentive to carry your story – “scooping” the competition – and helps you control the narrative of the story. Other outlets will still pick up the news after it has been published by the exclusive outlet, so you don’t lose much in the way of distribution heft. When LeBron announced his 2010 decision, he did so in a one hour special that resulted in everyone from his former coach to long-term plans calling him a coward and a liar. LeBron thought of himself on the national stage – but he forgot that audiences for sports teams are fiercely regional, and that switching teams would inherently damage his brand by making it seem as though he was trying to take the “easy way out” to a championship with a team that was already loaded with superstar talent. Now that he is returning to Cleveland, it is clear that LeBron learned some lessons in his absence. To start, LeBron chose not to host a massive press conference and huge party like 2010. Changing teams isn’t a cause for celebration, it is a necessary step in a career and throwing a party makes it appear as though one is celebrating their movement to the new team (angering fans of the former team even more). As a PR executive, there are times when you need to make a decision that is going to anger a portion of your customers to make your business better in the long run. Make sure your news couches this damage in terms of the net benefit that it will provide, and remember that you might return to those customers again someday – so make sure you don’t alienate them.